Do you want to work for a dynamic, fun and exciting company? If so then look no further! The Works Recruitment has been recruiting since 1991 and has built up a great reputation with a loyal client base. 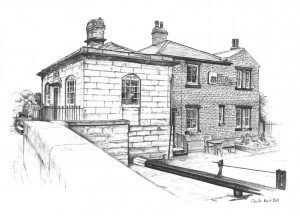 Based in an idyllic canal-side office at Granary Wharf, a 5 minute walk from Leeds train station, our friendly work ethic means every member of our team has a say in how we do things. With frequent gatherings to discuss our plans going forward both inside and away from the office. We have a support team who are second to none, meaning you will get the best out of your job. We work hard, clever and fast, we rise early and respect, support and encourage each other. We work hard – did you get that? If you also want to have fun – we are looking for individuals to join our team who are, thoughtful, curious, tenacious and ambitious in the work they do and pride themselves on working in a dynamic and professional environment.